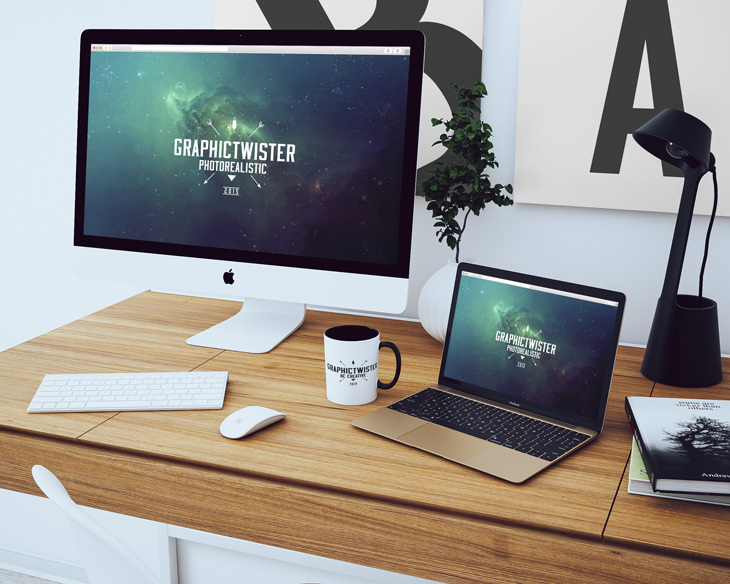 New Double Workspace Mockup. 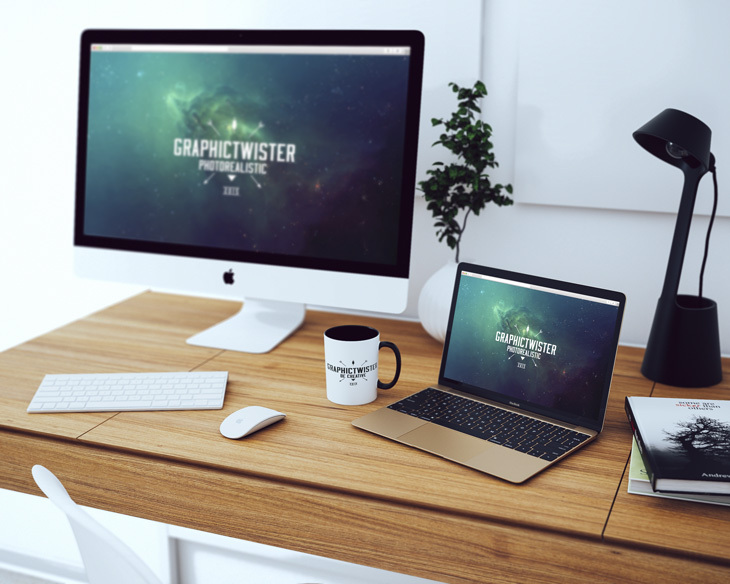 You can use the mockup to show case your design or presentation on iMac and new MacBook . Add your image inside the smart object and enjoy you work with blur effect.